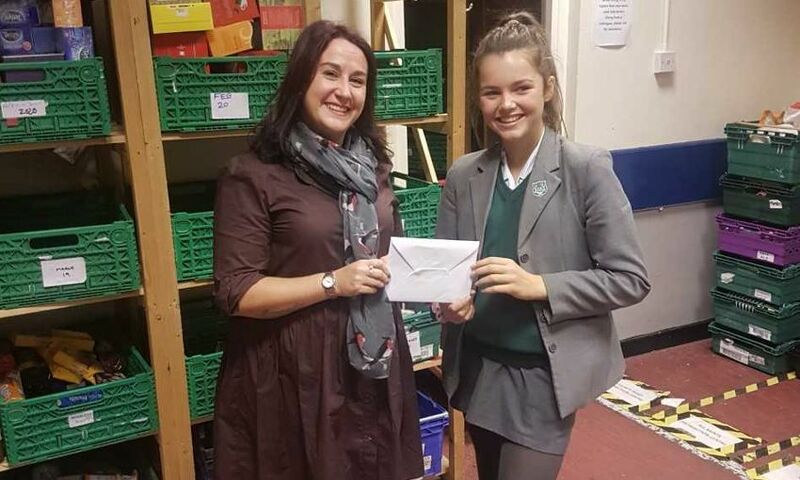 Liverpool fan Izzy Cunningham (13) took a unique approach to fundraising when she banned herself from social media to raise £150 for North Liverpool Foodbank. Izzy, from Hartford in Cheshire, is a dedicated Reds supporter who visits Anfield with her family to enjoy the matchday atmosphere whenever she can. During her trips, she found out more about Red Neighbours’ work in the community, in particular the support they give to the foodbank collections. Inspired by Red Neighbours’ social media feed and LFC players who make regular donations, Izzy decided to make her own gesture and raise money for the North Liverpool Foodbank, and make a difference to the community around the stadium she loves so dearly. To help raise funds, her parents agreed to sponsor her on a self-imposed social media ban, donating £2.50 for every day that she went without her phone device and social media during the summer holidays. At the end of the month, her parents were so impressed with her dedication that they doubled the pot, resulting in a bumper £150 for Izzy. Izzy’s amazing effort hasn’t gone unrecognised; Victoria Ponsonby, North Liverpool Foodbank co-ordinator and organiser of the Fans Supporting Foodbanks, commented: "Social media is a massive part of youth culture, so I’m sure that wasn’t an easy thing for Izzy to do. It's great to see young people joining the food poverty fight, understanding it and stepping up to the plate by dedicating time and effort to fundraising. Izzy's family and friends should be super proud, as I know we all are." Fans Supporting Foodbanks is extremely reliant on football fans donating at each home game. LFC supporters who wish to donate can drop off any non-perishable food donations at the foodbank collection points, located on Anfield Road, next to the club's Family Park, and inside the new Anfield superstore.